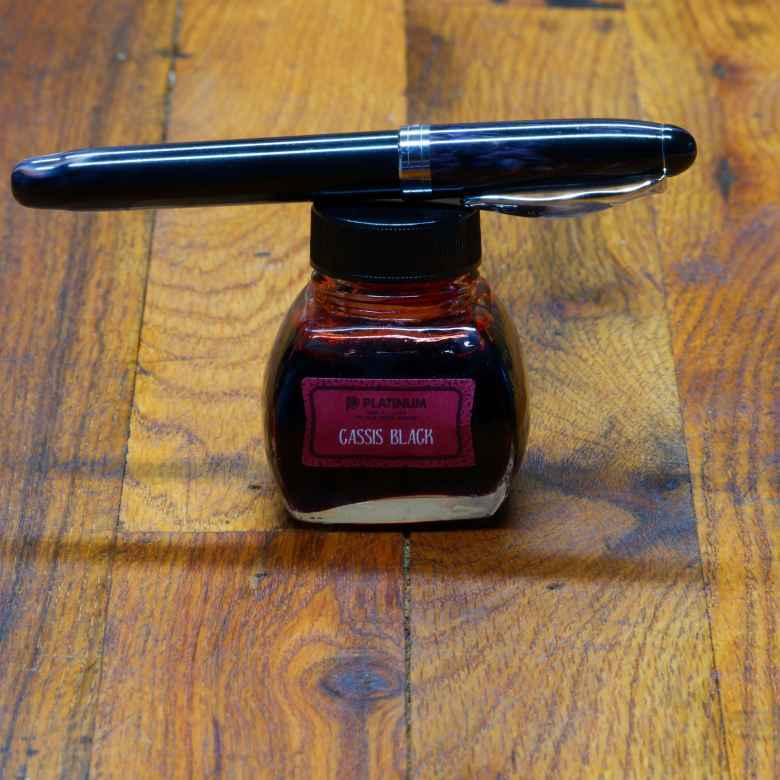 Wherein my Ivory Darkness Noodler's Ahab (IF) is paired with Platinum Classic Cassis Black. On January 1, 2018 my Ivory Darkness Noodler's Ahab (IF) joined its comrades when it was filled with Platinum Classic Cassis Black. I refilled it 6 times; the last refill was on December 24, 2018 . The pen was in use for one year and was emptied and cleaned on January 11, 2019 , saying good-bye to its fellows. This year I am using waterproof (or at least water resistant) inks for my daughters’s diaries. So I’m using a red iron gall ink for my eldest. I like the ink, but I like it better wet. The oxidized color isn’t bad by any means, but the richness of the red when still wet is quite a visual delight. Spending a year writing with an Ahab provided me with a new appreciation for the pen. It was comfortable to write with, and I never had problems with it. Because I enjoyed writing with the pen I decided to buy three new Ahabs dedicated to these diaries, and I’ll give the pens (and maybe the ink too), with the diaries, to my daughters.